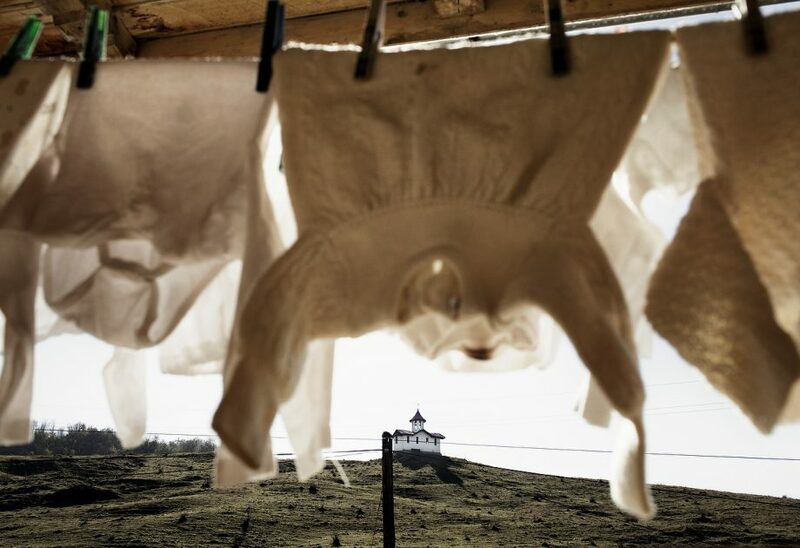 My first project as a photographer was about an underground valley community in southern Romania where shamed single mothers, single pregnant women and abandoned children are sheltered. The community at Valea Screzii is led by Father Tanese, a benevolent orthodox priest. 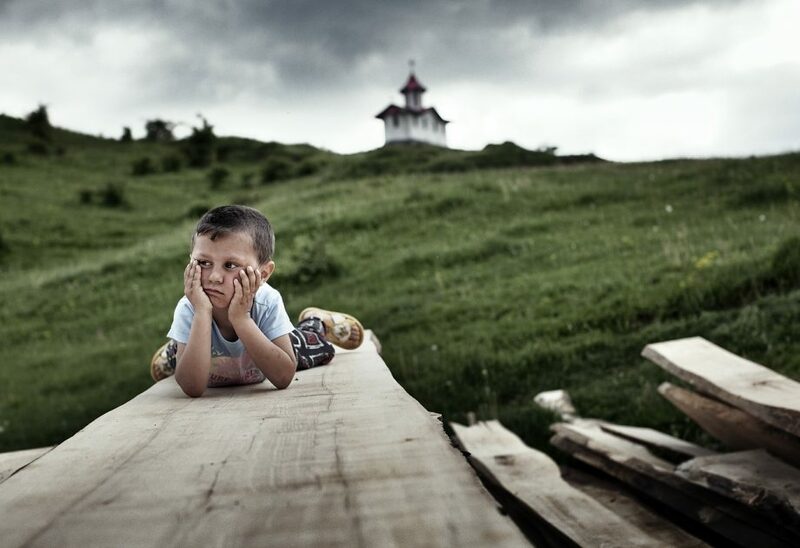 The incidence of abandonment of children in still high in Romania, with poverty and lack of education — together with old fashioned mentalities — being among the main reasons. Approximately 130 km north of Bucharest in the southern part of Romania is a valley called Valea Screzii, where, located between two villages — Valea Plopului and Valea Screzii — a benevolent orthodox priest named Father Tanese has taken it upon himself to provide shelter to expecting mothers, single women who come in shame, fleeing social ostracism and often violence because they are pregnant and unmarried. Often they are beaten for the “shame” they bear. They arrive, bringing with them their children. Some bring new born babies and leave, others come pregnant and then leave after delivering their babies. A few stay in the community after giving birth. In these cases the priest finds work for them and they live in the camp with their children. Some tend their children only, while others become social mothers (workers), taking care of other children that have been abandoned and left behind without family and without prospects. Abandoned children and unwed women with children receive little from the state. What they do receive is barely enough to make ends meet. But the priest is begging for them so that they do not have to beg. And there are many moments when they can barely find something to eat. He is like a father to them and by bringing them close to God, the children here look different, and in a way better, than the ones in state shelters. Some of the children live with the villagers. Others live in the camp the priest built in the valley between the two villages. The community continues to grow, with currently more than 320 children living there. Just to make sure there is no envy between the kids, each time the community receives humanitarian aid for the abandoned kids, everything is shared with the villager’s kids. The playground in the camp is also available to all children. Upon reflection, what moved me about this reality was the presence of hope in an otherwise terrible place. I learned about this community almost 6 years ago, when a friend asked if I could spare some money to help them. I gave them the money and they used it to buy new windows for an old village house which needed to be refurbished in order to be accepted by the authorities as a shelter. One of the churches built by father Tanase, as seen in Valea Screzii. This is a community set in place by Father Tanase in Valea Plopului/Valea Screzii to offer shelter to abandoned children and expecting mothers, single women who come in shame, fleeing social ostracism and often violence because they are pregnant and unmarried. 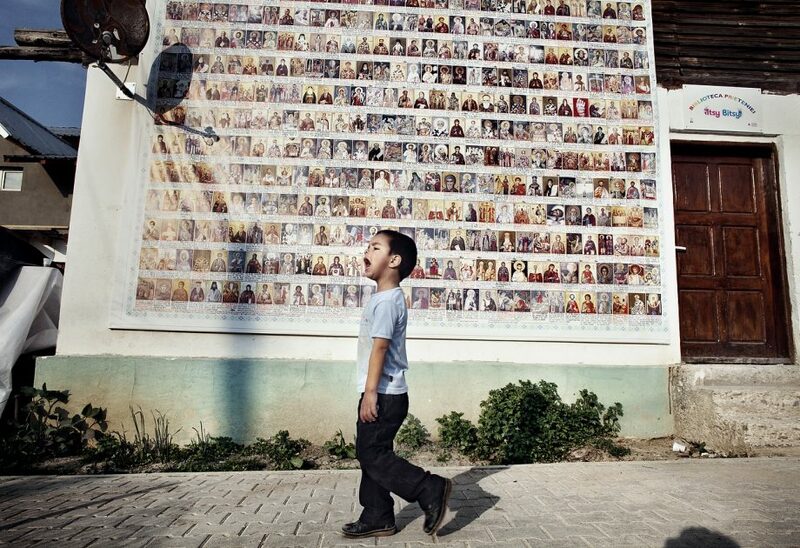 Kid walks by an orthodox calendar as seen in Valea Screzii, on October 27, 2010. This is a community set in place by Father Tanase in Valea Plopului/Valea Screzii to offer shelter to abandoned children and expecting mothers, single women who come in shame, fleeing social ostracism and often violence because they are pregnant and unmarried. Kid looks on in front of the orthodox church as seen in Valea Screzii, on October 27, 2010. This is a community set in place by Father Tanase in Valea Plopului/Valea Screzii to offer shelter to abandoned children and expecting mothers, single women who come in shame, fleeing social ostracism and often violence because they are pregnant and unmarried.